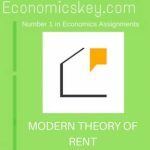 Modem economists make use of the concept of transfer earnings, in order to explain the remuneration of the factors of production. Take the case of a worker. SUPIX)Se in his pre. cnt occupation he is earning Rs, 250. In case, he has to give up that occupation, suppose the next best alternative employment fetches him Rs. 200. This is his transfer earnings, i.c.. what he will get on transfer to the next best alternative employment. This mean that in his present employment. he must at least get Rs. 200 (his transfer earnings), otherwise he will give it up and 1II00’e to his next best alternative employment where he can earn Rs, 200. In other words. the transfer canting is the minimum price which must be paid to a factor of production to induce it to stay in the industry or which is necessary to retain it there. If this price is not Forthcoming, the factor unit will transfer itself to its next best alternative use. In Benham’s words, “The amount of Nwne)’ which UII)”particular unit could Clint ill it lst paidalterllutih use is sometimes culled its trouver earnings,” To quote Mrs. Robinson, “The price which is necessary to retain a given unit of a factor in a certain industry may be called its tra or transfer price, since a reduction of the payment made for it below this price would cause it to be trails [erred elsewhere; and any particular unit of a factor May be said o be at the margin of transference, or to he a marginal unit, if the earnings, which it receives in the industry,where it i employed, arc only jUM sufficient tu prevent it from transferring itself to some other use.” Take the case of land. Suppose, a land used for the cultivation of cotton earns a little more than when it is used for the growing of sugar-cane. If the profit in cotton cultivation falls a little or that in cane cultivation rises a little, the cotton land will be converted into cane land. US, fluctuations in prices of different crops may make the cultivation of one crop more profitable than that of another. There will then be a tendency for the land to be transferred from one use to another in search for higher earnings. If an agent is earning more than what it would earn when transferred to the best-paid alternative, the surplus is rent. As Mrs. Robinson says, “Each individual unit of each factor will be fitted into the place where its earnings will be greatest; when its caring» that use fall it will retreat to its next most profitable U\C and. if there is an appreciable difference between its actual earnings and its earnings in the next profitable use to which it could be put, it will he receiving rent. If each products and it is like its neighbour, both in respect to their efficiencies in the industry employing them and in respect to their efficiencies in alternative uses, there will be no rent.” The concept of transfer earnings has a great significance in the theory of value. The supply of a factor for a particular industry depends on its transfer earnings. The industry must pay a price for the use of a factor which is at least equal to its transfer earnings. 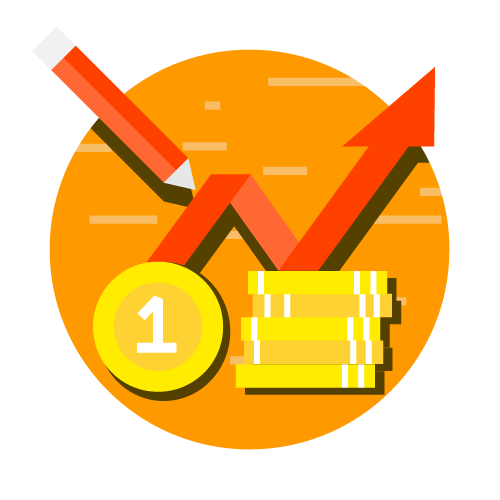 This is how transfer earning affects the supply of a factor which is one of the two factors affecting the price of a factor. In this way, the concept of transfer earnings earnings has an intimate bearing on factor pricing.